Preparation for English College Studies (PECS) is a learning experience designed for students whose first language is not English. The purpose of this activity is to improve English communication skills through grammar review, reading comprehension activities, writing and vocabulary exercises and oral presentations. Any student completing Secondary IV or V in Quebec in June 2019 may apply. Students who will attend Marianopolis in the fall have priority for PECS registration. Each section has a limit of 25 students. 9 a.m. to 12:30 p.m. weekdays. The College will be closed Monday July 1 for Canada Day. Registration is open April 30 to June 4 at 4 p.m.; payment is required to complete registration. To pay by debit or credit card, visit this page starting April 30. To pay by cheque or money order, fill out the registration form starting April 30 and mail or bring it with payment to the Finance Office. 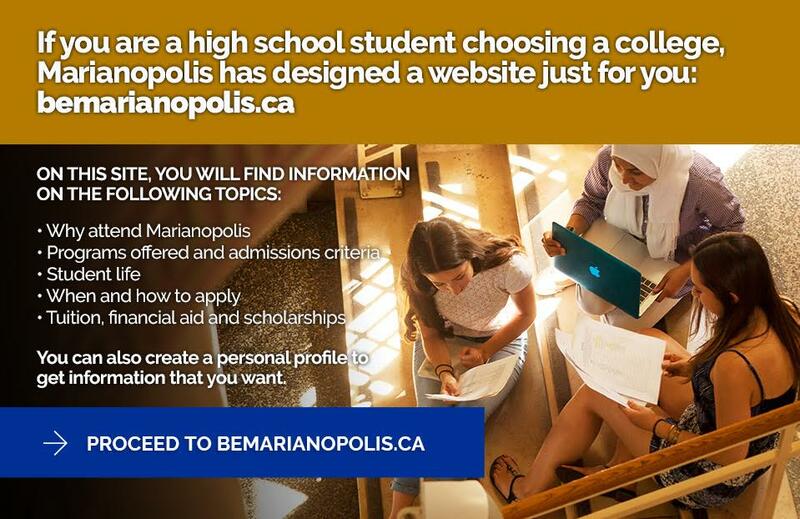 Make your cheques payable to Marianopolis College; the College does not accept post-dated cheques. To pay with cash, fill out the registration form starting April 30 and bring it with your payment to the Finance Office. To withdraw, please submit a written notice to the Finance Office by Wednesday June 26. The College will not issue refunds after this date. Marianopolis reserves the right to cancel PECS due to low enrolment. Please contact PECS Coordinator Dr. Suzanne Daningburg, ext. 279.